Posted by Rutger on 2008/11/14 . Leave a comment. 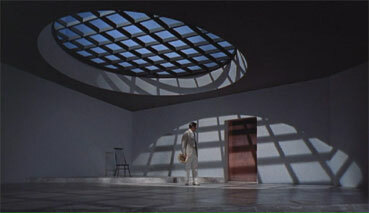 Perhaps the greatest architect ever, Sir Ken Adam is little known compared to the images of his work. Being the creator of the “war-room” scenography from Dr. Stranglove and virtually all James Bond sets from Dr. No up untill the late 70’s (including the pinacle of bond-villain-lairs in “The spy who loved me”) , his work has been and continues to be an awsome resource of inspiration for architectural creation all over the world.